Mount Sanqingshan National Park, a 22,950 ha property located in the west of the Huyaiyu mountain range in the northeast of Jiangxi Province (in the east of central China) has been inscribed for its exceptional scenic quality, marked by the concentration of fantastically shaped pillars and peaks: 48 granite peaks and 89 granite pillars, many of which resemble human or animal silhouettes. 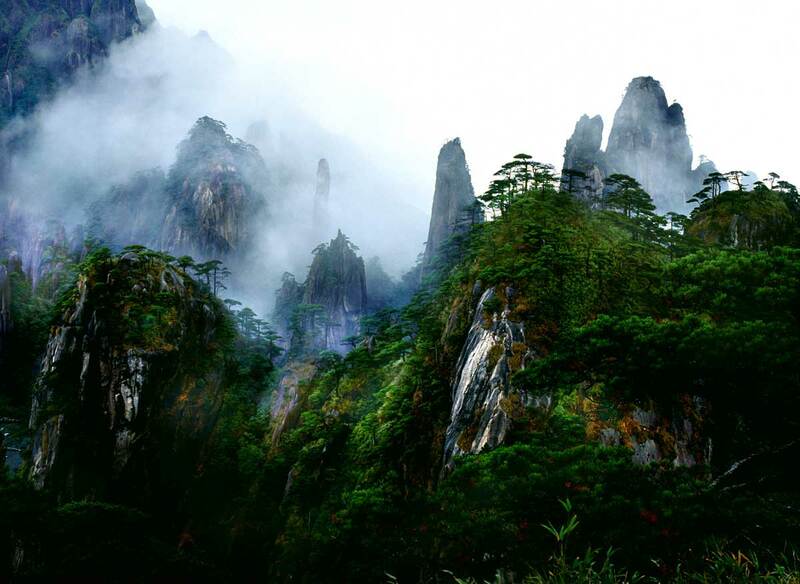 The natural beauty of the 1,817 metre high Mount Huaiyu is further enhanced by the juxtaposition of granite features with the vegetation and particular meteorological conditions which make for an ever-changing and arresting landscape with bright halos on clouds and white rainbows. The area is subject to a combination of subtropical monsoonal and maritime influences and forms an island of temperate forest above the surrounding subtropical landscape. It also features forests and numerous waterfalls, some of them 60 metres in height, lakes and springs. 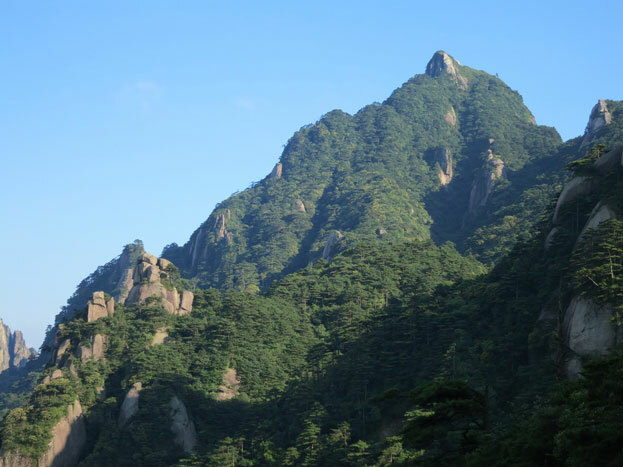 Superlative natural phenomena or natural beauty: Mount Sanqingshan’s remarkable granite rock formations combine with diverse forest, near and distant vistas, and striking meteorological effects to create a landscape of exceptional scenic quality. 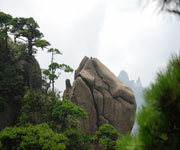 The most notable aspect is the concentration of fantastically shaped pillars and peaks. The natural beauty of Mount Sanqingshan also derives from the juxtaposition of its granite features with the mountain’s vegetation enhanced by meteorological conditions which create an ever-changing and arresting landscape. The access afforded by suspended walking trails in the park permits visitors to appreciate the park’s stunning scenery and enjoy its serene atmosphere. The property has effective legal protection, a sound planning framework and is currently well managed. The park benefits from strong government support and funding. The park’s natural resources are in good condition and threats are considered manageable. There is an effective management regime in place for the park. The key requirement is to manage the property to retain its aesthetic values, and a delicate balance will need to be maintained with the provision of visitor access. The most significant threat relates to the future increase in tourism, and careful and sensitive planning of the related infrastructure and access development is required.